This three-layer chocolate cake was covered in white buttercream, then red buttercream was lightly iced over the top to create the brick-like texture. Grout lines were cut in and black accents were added to the bricks. 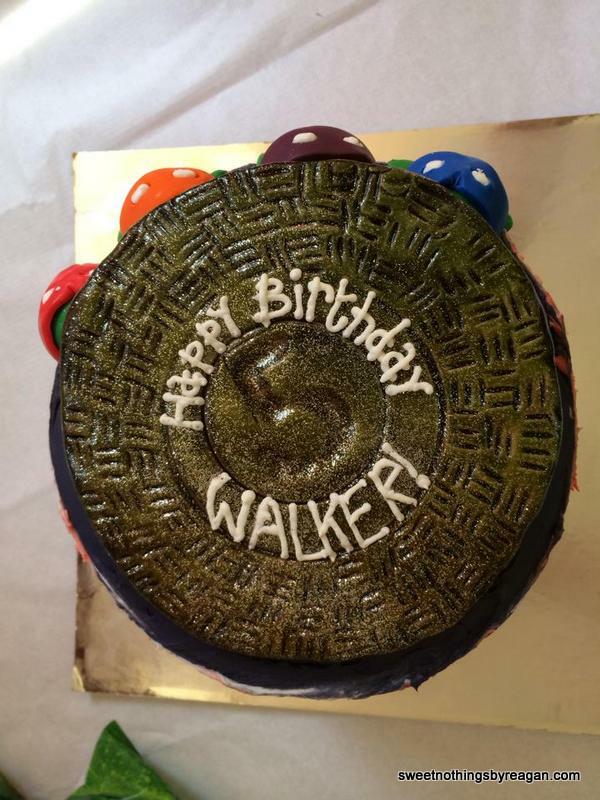 The hand-sculpted fondant turtles were set atop the cake and flippers were added over the edge. 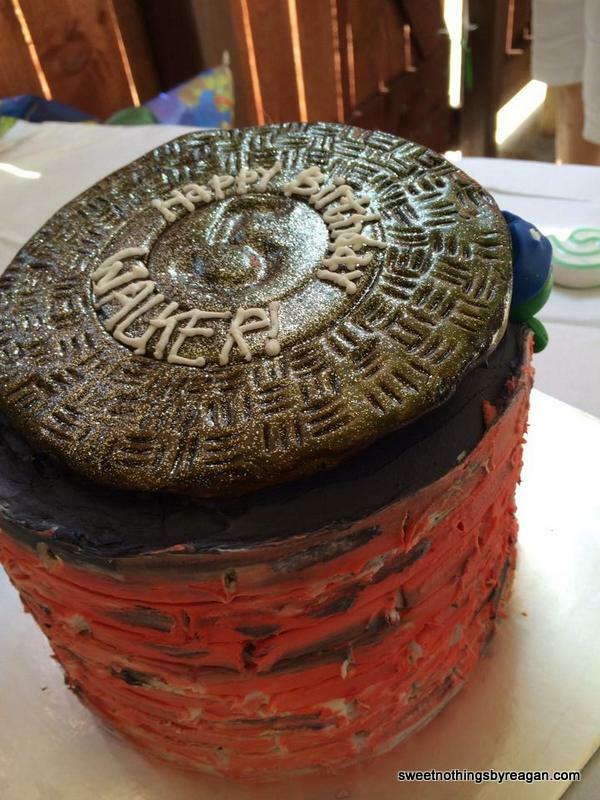 The hand-sculpted, embossed (see the 5 in the middle? ), painted fondant man hole cover was then perched atop the turtles. They look so cute peeking out! That handsome dude in the turtle t-shirt (I made one for everyone in our family!) 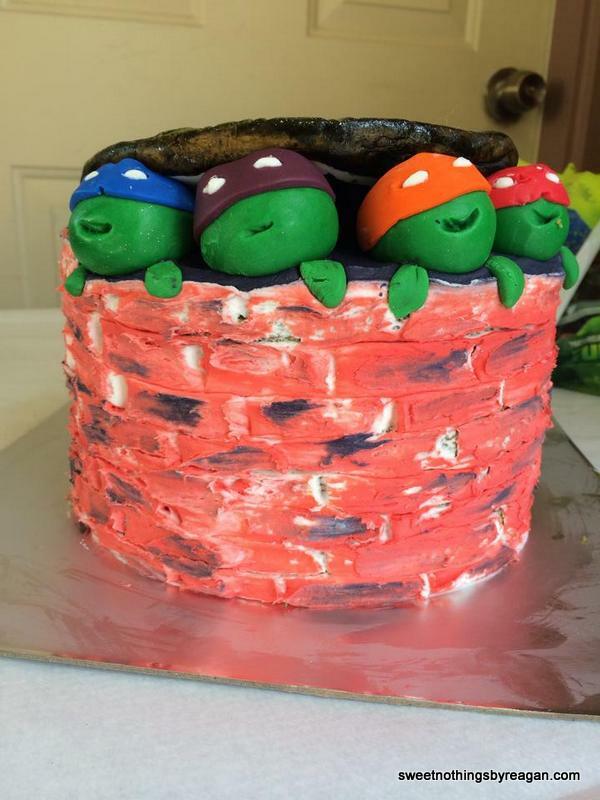 is my, now, 5year-old….cowabunga!! 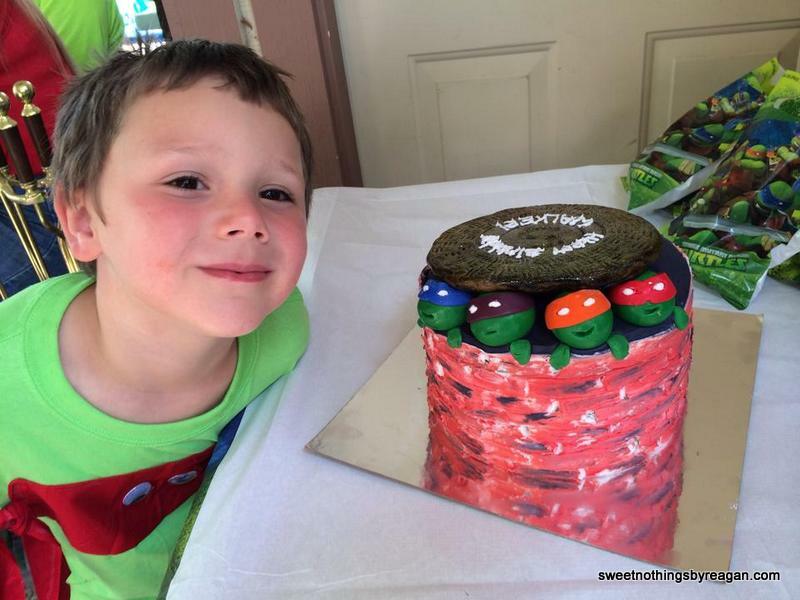 Posted in featuredTagged birthday, boy, buttercream, cakes, Ninja Turtles, TMNTBookmark the permalink.